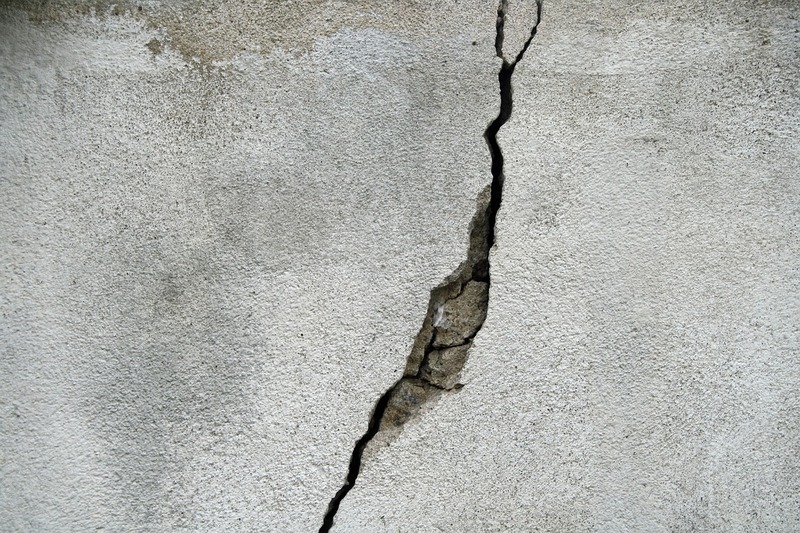 Do you have Floor Cracks in Your Home? Floor cracks could be a sign of a wet basement coming your way, or also a sign of foundation failure. Either way, you definitely want to involve a professional to evaluate your floor crack, because this sign, as well as wall cracks, slab cracks, foundation cracks, sloping floors, bowing and leaning walls, water stains and more, can be signs you need repair right away. We offer a wide variety of waterproofing solutions if you this occurs after you notice floor cracks. We offer sump pumps and pits, interior and exterior drainage solutions. If you consider these solutions we can help you prevent cracks in your floor from becoming bigger problems in the future, such as a flooded basement! Sump pumps and pits can help you manage the water running beneath your home and our drainage solution will move water away from your foundation ensuring the safety of your foundation in the future. We offer many underpinning solutions that can provide support and lift your foundation floor and walls. Plate Anchors are the most economical method for providing support to cracked or bowed basement walls. Helical tieback anchors can help bowing or leaning walls by providing strength and support as well and are good for other smaller projects like porches or garage columns. Steel push piers provide lift when doing foundation repairs. These push piers are driven to rock or load-bearing soils and then can lift a home back to its original state. No matter what the need, Reliable has you covered. So that small floor crack may seem like a small thing, but remember it can be the sign of problems to come. Count on our team at Reliable Waterproofing and Masonry to assess your floor cracks and let you know if one of our waterproofing or underpinning solutions might be right for you. Call us today for an appointment!